Are you new to rummy games? Fret not; you are about to discover the best way to get familiar with the exciting world of rummy – Free Rummy games! It is a great way to learn, practice and pick up the nuances of rummy. As a popular card game, it involves more of skills than luck. Hence with regular practice, you can improve your playing skills and master the game like a pro. Online rummy is indeed a boon to the community of rummy players. Irrespective of one’s level of expertise, players can play as many free games as possible before they start playing for real cash with professionals and expert rummy players. Free rummy games are the most tried and tested path for beginners who would like to make an entry into the exciting world of online rummy games. Getting started with rummy is very easy. Anyone who is interested in the game can register with the any of the credible online rummy sites. This is the beginning of an interesting journey that would unfold eventually. 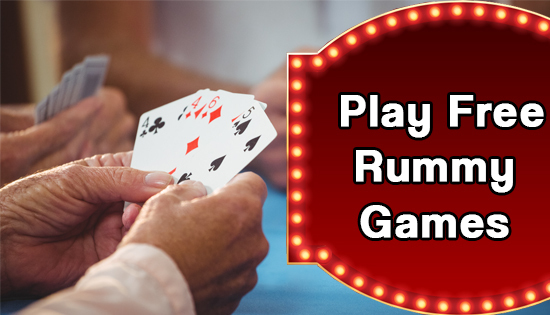 To join free rummy games, all you have to do is to log in to your favourite rummy portal and join the practice games. Almost all of the major rummy portal offers free practice chips to every player who registers. Players can utilise these chips to join free rummy games and start playing. The best part of free rummy is that the player does not have to deposit any cash! Unbothered about the outcome of the game, players can enjoy free play rummy online with the practice chips and improve their rummy skills. Practice games, in fact, help the players to apply rummy tips and tricks and formulate strategies to win the game. It is a great platform for beginner players before they venture into playing for cash with experts and professionals. The benefits of free rummy games do not end here. Most of the online rummy portals offer attractive freeroll tournaments, you can join the tournaments for free, and if you have what it takes to win the game, you can end up winning real cash in return! The popular and credible rummy sites offer a broad range of tournaments for players to play and savour the fun and excitement of rummy. In fact, there are even hourly freeroll tournaments dedicated for your excitement and making it extremely interesting. In addition to offering unlimited fun and entertainment, free rummy online games have lots more to offer to the players. Players have the opportunity to take part in popular Indian rummy variants such points, pool and deals rummy for free. Players can use their practice chips to join these tables and improve their skills! Also, the option to play with different players across variants helps in improving their rummy skills exceptionally well. If you are new to rummy, begin with free rummy games and continue your way up to be an expert rummy player and win fabulous cash prizes.